Update October 13, 2016. Another success story. Eight years ago almost to the day this car was a stalled project, looking like a few bucks and hoping for rain in the form of a value bump enough to be worth tidying up and putting back together for either enjoyment or resale. That rain came. 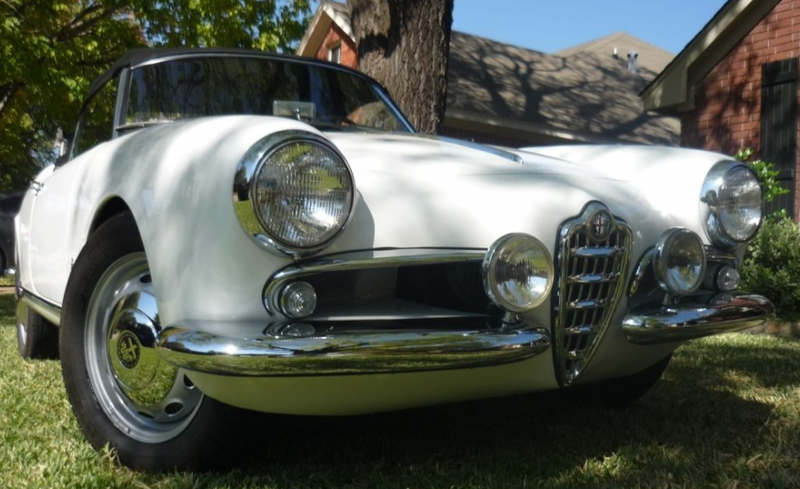 I like the color combo and the restoration was done by a Giulietta specialist well known for quality work in Alfa circles. I’m guessing that a discussion about a purchase price around the $44,000 asking could buy it. I’m also guessing everyone involved would be happy since it’s very likely better in person as it looks in pictures. It’s strange to think you can become immune enough to the charms of something like this that you lose the wonder and awe you felt the first time you saw one. Gotta get my steel and aluminum 3D printer working.